I had never even heard of this word until we came to Puerto Rico! A Funicular is a cable railroad, especially one on a mountainside, in which ascending and descending cars are counterbalanced. The one located are the El Conquistador Hotel in Fajardo, Puerto Rico over looks one of the most amazing views in the entire island. 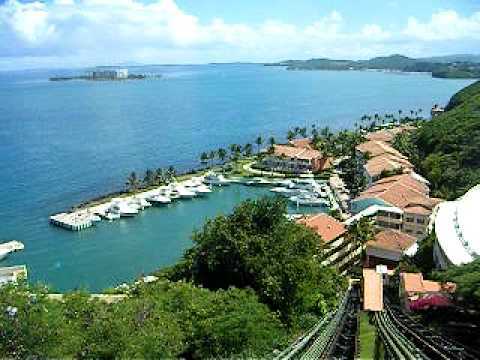 When riding the funicular, riders can see Isleta Marina and other islands off the east coast in Puerto Rico.